In its first outing since moving from Victoria Park to Gunnersbury Park, the organisers of Lovebox Festival have pulled out all the stops. Whilst past headliners have included the likes of Snoop Dogg, Frank Ocean and Nas, it is no exaggeration to state that this year’s talent pool is deeper and more prestigious than ever before. It is therefore my job to direct you to the crème de la crème, the best of the bunch, the cream of the crop. From the relative unknowns to the unmissable superstar, all the information you need to know will follow below. Twenty-four-year-old Colombian-American singer songwriter Kali Uchis is one of the hottest rising talents on the music scene. Her debut album Isolation was released earlier this year to widespread critical acclaim, bringing her fusion of soul, R&B and Latin to the mainstream. A regular collaborator of Tyler the Creator, she has quickly developed a reputation for her stage presence, alluring vocals and striking visuals. Having supported Lana Del Rey on her 2018 US tour, Kali Uchis will be well prepared for the excitable crowds at Gunnersbury Park. Catch Kali Uchis on the Main Stage on Saturday 14th July. Action Bronson is not a performer you are likely to forget any time soon. His body is adorned with a vast array of colourful tattoos, his face is consumed by an enormous, bushy ginger beard and his rotund figure dominates the stage. Add this in to an extremely active stage presence, outstanding discography and regular comedic outbursts and you have the perfect recipe for a great time. His laidback rapping style has garnered comparisons with legendary rapper Ghostface Killah and his album Mr Wonderful topped the US Rap Charts. Catch Action Bronson on the Noisey Presents Stage on Saturday 14th July. The most remarkable element of the sudden rise of David Orobosa Omoregie, better known as Dave, is that he is still only nineteen. His EP Game Over, released in November 2017, rose to the upper echelons of the UK Charts, a remarkable achievement given it was not released by a major label. The Londoner scooped the MOBO award for Best Newcomer at last year’s awards with his debut album expected later this year. Most notable for his intelligent wordplay and politically conscious lyrics, Dave has also managed to blend weighty topics with infectiously catchy, melodic production. Catch Dave on the Noisey Presents Stage on Friday 13th July. What is left to say about legendary hip-hop collective, the Wu-Tang Clan. Now celebrating their 25th year of making music, Wu-Tang are back on British shores and ready to tear it up. Presenting an array of their biggest hits such as ‘C.R.E.A.M.’, ‘Gravel Pit’ and ‘Bring Da Ruckus’, the clan will undoubtedly delight their massive fanbase, both young and old. Viewed by many as the greatest hip-hop group of all time, the eight surviving members have gone on to enjoy considerable success as solo artists, most notably Method Man and Ghostface Killah. Catch Wu-Tang Clan on the Main Stage on Friday 13th July. The release of ‘Roll (Burbank Funk)’ several weeks ago was the first track we’d heard from Californian R&B collective The Internet since Grammy-nominated album Ego Death was released three years ago. Fronted by former Odd Future member, singer, songwriter and producer Syd, they have become famous for their distinctive blend of soul, hip-hop and experimental instrumentals. Singles such as ‘Girl’ and ‘Go with It’ grew in prominence due to the explicit nature of the themes being touched upon and the striking way in which they were displayed and unravelled. Their Saturday evening set will undoubtedly whet the appetite for what is to come. Catch The Internet on the Main Stage on Saturday 14th July. Undoubtedly the main attraction of Lovebox 2018, the surprise announcement of Childish Gambino as this year’s Saturday headliner caused mass hysteria and an overwhelming demand for tickets. Seemingly omnipresent at the moment, the ridiculously talented Gambino possesses an astoundingly diverse and rich back catalogue, ranging from the rap-heavy 2013 album because the internet to 2016’s soulful throwback “Awaken, My Love!”. The hype around Gambino’s appearance at Gunnersbury Park has only increased since the release of ‘This is America’, the politically charged single which has dominated social media since it hit the air. His performance has added significance as it may well be the final time we see a live performance from Gambino, with Donald Glover likely to retire his alter ego after his upcoming fourth studio album. Catch Childish Gambino on the Main Stage on Saturday 14th July. 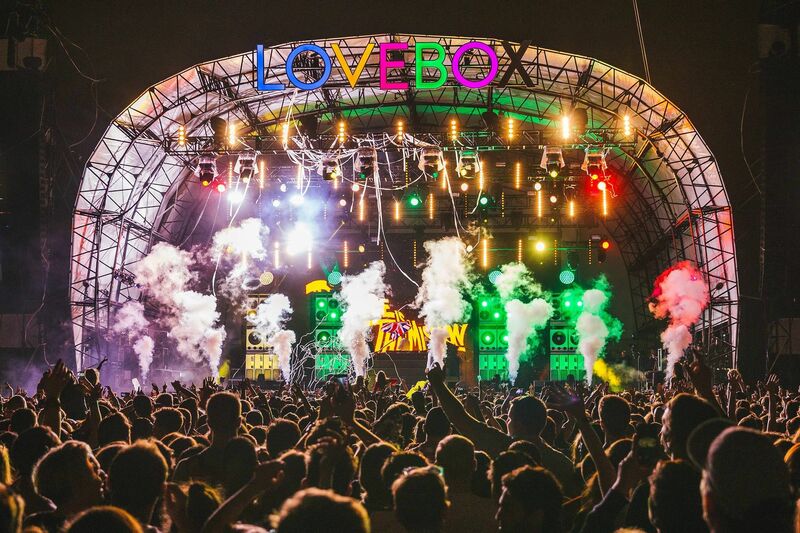 Lovebox takes place Friday 13th and Saturday 14th July in London’s Gunnersbury Park. Tickets are available here.